As Time Inc. continues to pivot from being seen as a print magazine publisher to a digital media player, the company has acquired programmatic ad-tech company Adelphic. Adelphic will join Viant, a marketing company that Time Inc. acquired a year ago that uses first-party data and programmatic technology for ad targeting. Six-year-old Adelphic is a demand-side platform that helps brands plan and manage mobile and digital campaigns. It will also help Viant advertisers more precisely target groups of consumers across Time Inc.'s properties, which include People, Time, Fortune and Sports Illustrated. Terms of the deal were not disclosed. In a statement, Time Inc. president and CEO Rich Battista said the move will extend the company's reach to 1 billion global consumers. Adelphic's self-serve platform, which lets marketers buy and manage their own media, was also a selling point. "We know that in addition to premium content, advertisers are looking for more efficient buying processes for digital audiences," Battista said in a statement. "With Adelphic's proven self-service capabilities, Time Inc. and Viant will be able to deliver greater programmatic competencies and benefits to our partners." The acquisition is also part of Time Inc.'s goal to become a "people-based platform," per the statement—similar wording that Facebook and Google have used to position themselves as digital ad players in recent years. 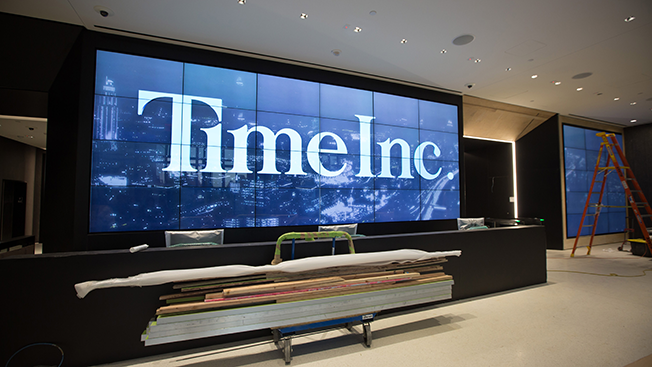 The move is the latest shift from print to digital at Time Inc., which also went through a significant sales restructure last year. In July, it removed publishers and is also rumored to be in acquisition talks. Meanwhile, the company has acquired a number of smaller sites over the past couple of years, including xoJane, HelloGiggles and Fansided.